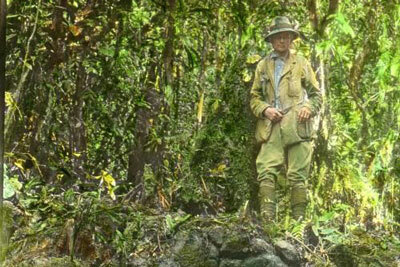 Hiram Bingham III (1875-1956) was, among other things, the explorer who rediscovered Machu Picchu. He possessed an inherited sense of adventure, attributed to his missionary parents, who lived in Hawaii at the time of Hiram’s birth. His interest in South America is thought to have begun while he was studying at Harvard, Yale and the University of California where he was awarded a PhD in South American history. At the age of twenty five, he married an heiress, Alfreda Mitchell whose family was best known for the Tiffany brand. The marriage laid the foundation for his later exploratory activities. His years of studying South American history and subsequent doctorate in the subject, ignited Hiram’s already well developed sense of adventure and he was well aware of the various myths and legends regarding relating to the South American ancient civilizations. He had access to the necessary funds to support his dream of undertaking exploration in his area of expertise and so, six years after his marriage, and substantial amounts of planning and organizing, he set off on his first expedition to South America. This first trip in 1906 was an attempt to retrace the steps of an earlier explorer, Simon Bolivar, who in 1819, travelled overland from Venezuela to Colombia. Hiram relished this first trip and his passion for South America was further fuelled by the experience and set the scene for further trips. His next trip to South America was in 1908 when he crossed the Andes Mountains, from Buenos Aires to Lima in Peru, by following an early Spanish trade route. This trip was the precursor to his most famous exploration. He was thirty one years old at this time and before he was forty, Hiram made his most famous discovery. Hiram Bingham, together with his guide, proceeded to discover the ruins of Machu Picchu on July 24th, 1911. This expedition was known as the Yale Peruvian Expedition and Hiram was its leader. 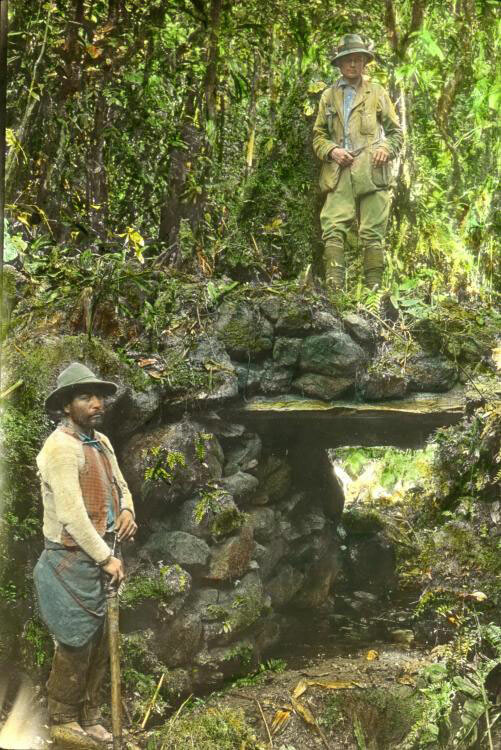 His objective was to find Vilcabamba, which was known from many stories, as the lost city of the Incas. This was a herculean task and also very dangerous. He had few clues to work from and determining its location must at times have seemed an impossible task. His adventurous determination won through though and his quest was successfully achieved. The Yale and the National Geographic Society requested his return to Machu Picchu in 1912 and he proceeded to spend the following three years excavating the ruins. Unfortunately, he also removed a great quantity of artifacts and mummies, which the Peruvian government would like to be returned. Hiram also documented his findings through many articles and his book, ‘The Lost City of the Incas‘. After his South American exploration, Bingham became a politician, initially in Connecticut and then in the US Senate. He died in 1956 at the age of eighty one and is buried in Arlington National Cemetery. He is remembered primarily for rediscovering Machu Picchu. How did he became famous?